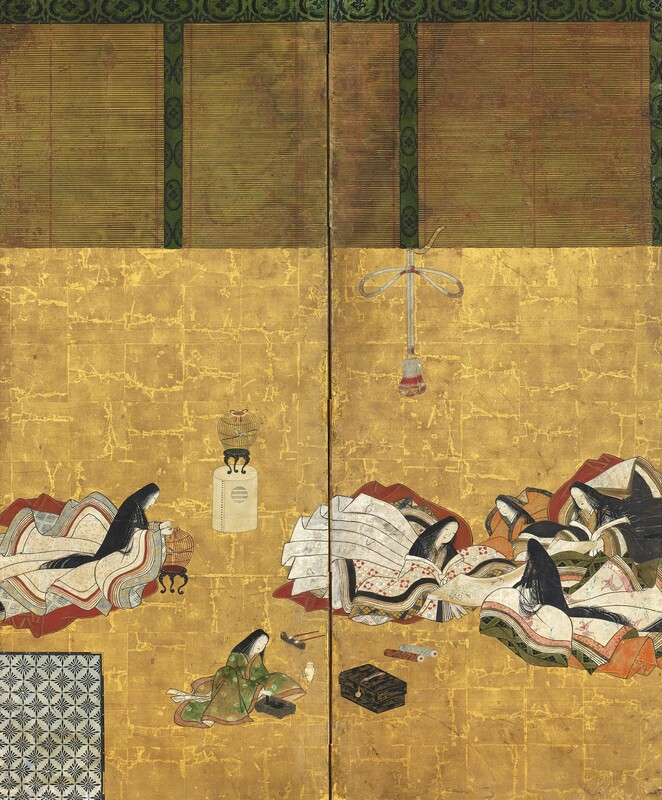 6548 A two-fold paper screen painted in ink and colour on a gold ground with court ladies at various pursuits and a sudare (bamboo blind). 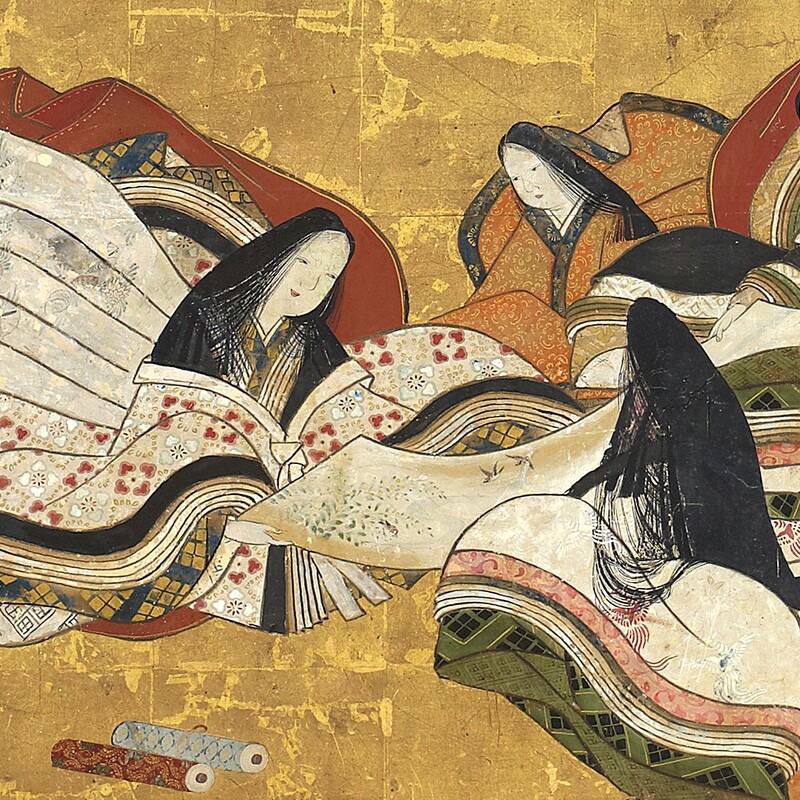 Four ladies are seated together admiring a makimono (hand scroll), with two further makimono on the floor beside them. 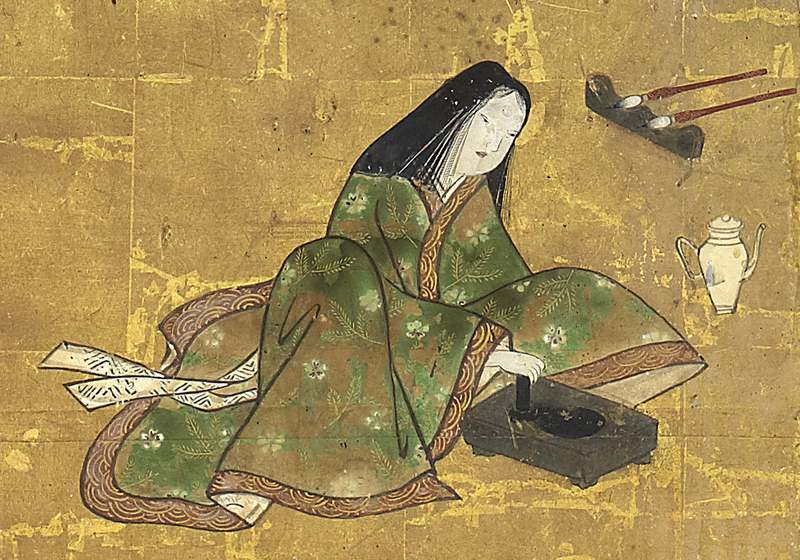 A young girl prepares the ink, and two brushes are laid out on a brush stand ready for use. 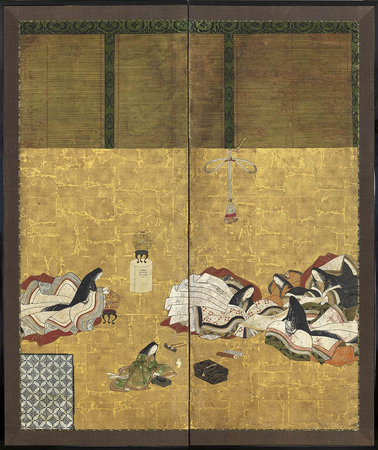 A fifth lady tends to a bird in its cage and a second caged bird is displayed on a stand in the background. 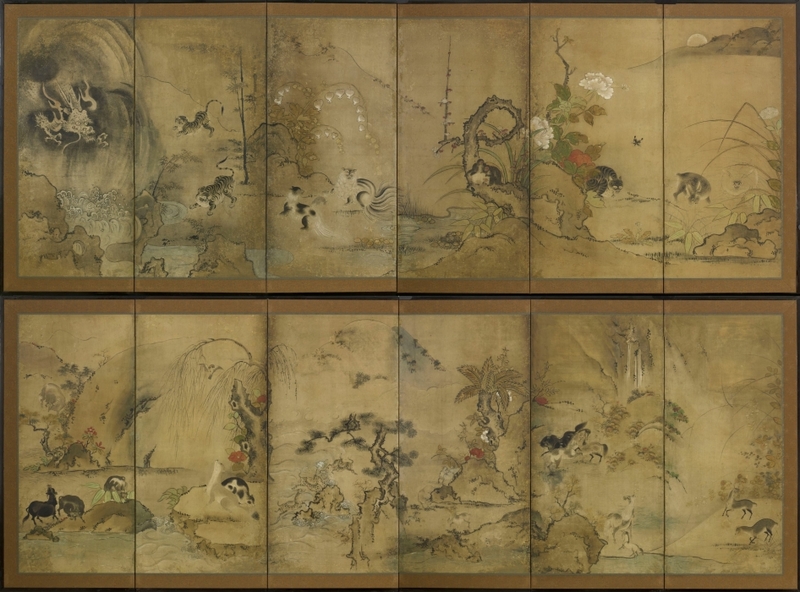 The back of a folding screen can be seen in the lower left of the painting, although its subject remains mysterious. A partly-unfurled sudare (bamboo blind) hangs across the top of the painting, giving the impression that the viewer is peeking into this intimate scene. SKU: 6548. Categories: Screens, Two Fold.